We’ve taken a look at the specialty drinks and the exotic foods of Pandora – The World of Avatar. 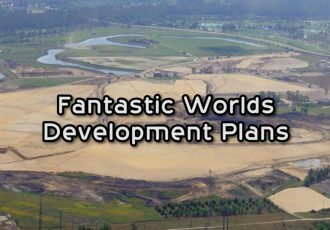 Plus, we’ve been following the construction progress of this new land. 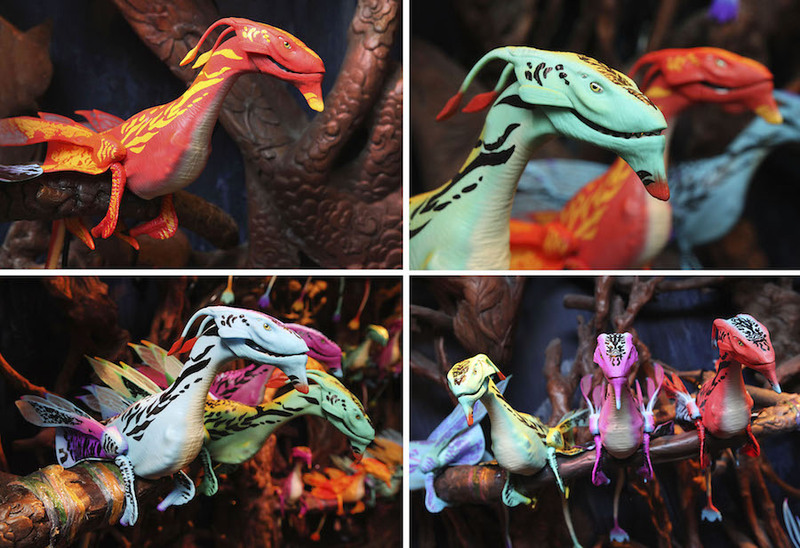 Now, let’s take a moment to look at some of the unique merchandise and gifts we’ll find in the world of Avatar, opening May 27, 2017 in Disney’s Animal Kingdom. 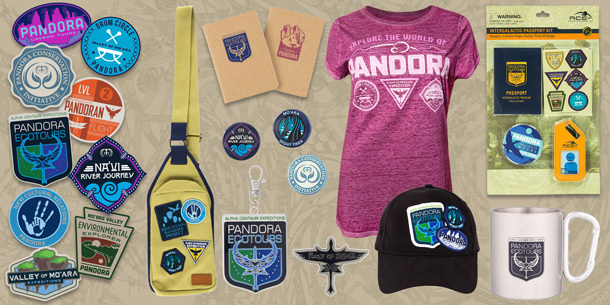 While visiting Pandora, you’ll want to stop by Windtraders, the main gift shop for the new area. Inside you’ll see that the walls have long since been overtaken by natural root structures—which nowadays serve as still-growing displays for a variety of mementos and take-home treasures. 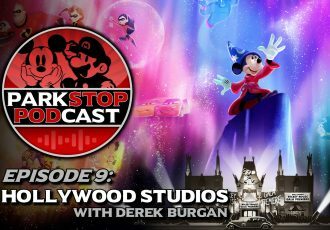 There will be many shirts, hats and other apparel; toys, plush and more fun things for kids; and of course collectible pins! 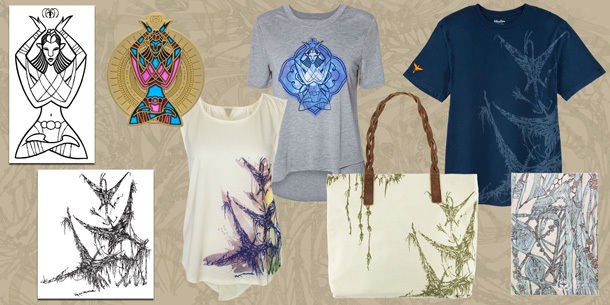 See below for just a small selection of the many pieces of merchandise for this new land and stay tuned for our complete coverage of Pandora — The World of Avatar starting in just a couple weeks! 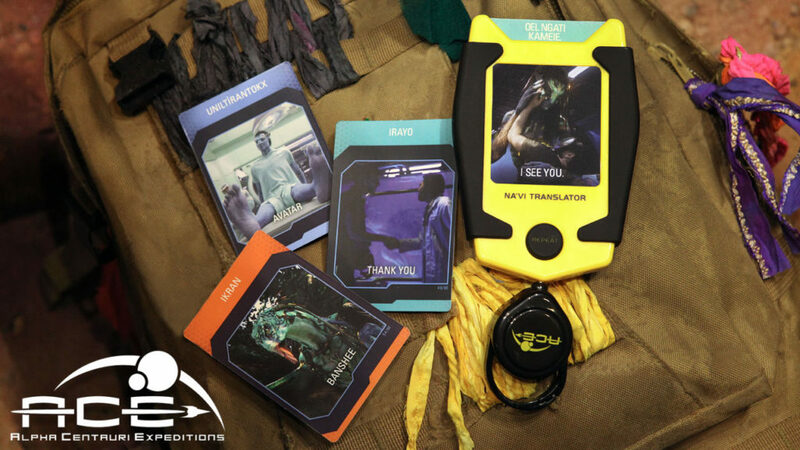 The Na’vi Translator set will come packaged with 15 translation cards. The device has a clasp that extends up to 12-inches and can be attached to a belt or backpack. Additional translation cards will be sold in trading card packs, each containing eight randomly selected cards. Disney partnered with Lightstorm Entertainment and Dr. Paul Frommer, creator of the Na’vi language for “Avatar,” to acquire audio recordings of spoken Na’vi words for the translator. One of the more colorful options at Windtraders will be the replica flying banshees. Children of all ages can select from 10 distinct variations of the beast, but in a much smaller size of course. Each interactive banshee includes three ranges of motion – mouth, head, and wings – that are controlled by hand. 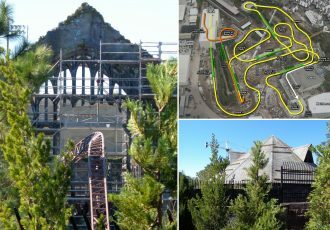 Guests will also hear them make authentic banshee sounds. 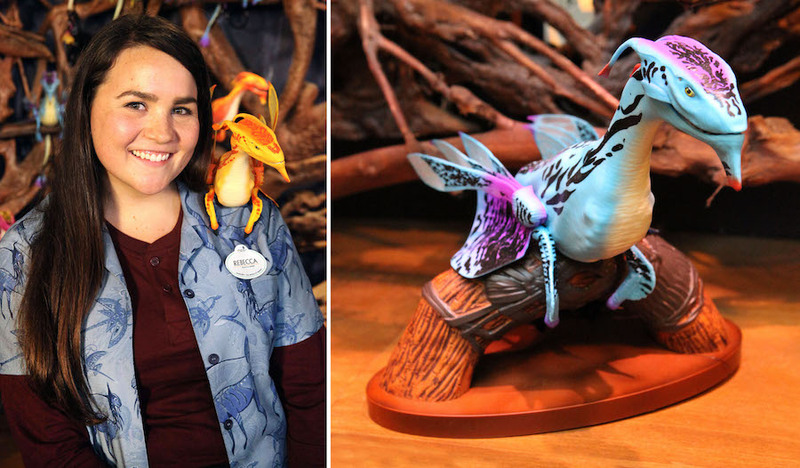 With the ability to perch them on your shoulders for everyone to see as you explore the park, these innovative souvenirs may end up being the most popular item available in the new land. 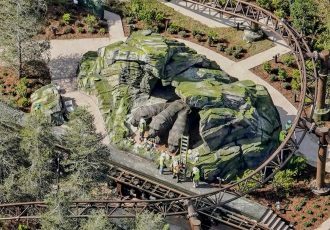 Walt Disney Imagineering and Lightstorm Entertainment, the film production company behind the Avatar films, collaborated together to design products that complement the visually stunning world filled with floating mountains, bioluminescent plants, and all kinds of immersive adventure. 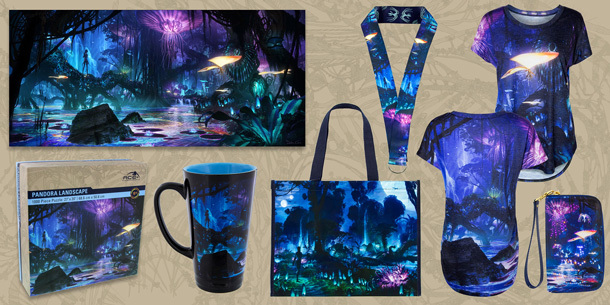 Dylan Cole, Co-Production Designer for the upcoming “Avatar” motion picture sequels, captured the bioluminescent world of Pandora at night with two new pieces. One image was inspired by the Na’vi River Journey while the other pictures the beautiful Valley of Mo’ara. In addition to being available as prints, elements from his nighttime artwork were added to apparel, home décor, accessories and other products. The cave painting art was based on sketches by Walt Disney Imagineer Joe Rohde for the Avatar Flight of Passage attraction. Casey Jones, Senior Character Artist with Disney Consumer Products, worked with Joe to finish out his sketches, which were then applied to select products. “[The Shaman of Songs] embodies the Na’vi’s connection to nature which is displayed through music and light, so we wanted a graphic that was evocative of those ideas,” said Casey. 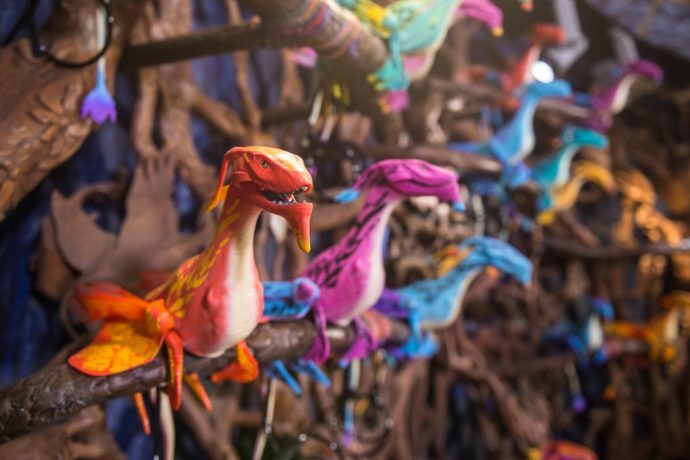 Artist Daphne Yap, a member of the “Avatar” film production team, created gorgeous digital renderings of Na’vi weavings and Banshee totems for Walt Disney Imagineering. These images have a hand-drawn feel and will appear on select apparel and accessories. 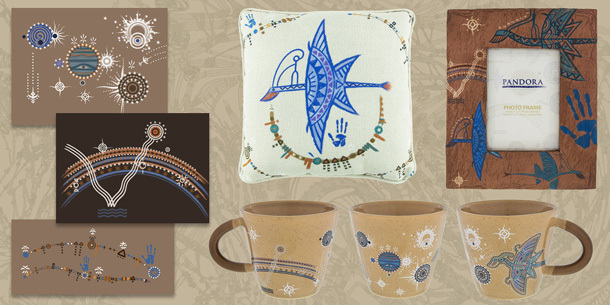 The art team created patch designs representing different experiences guests will have while visiting Pandora. In addition to other products, guests will find select patch designs in the Intergalactic Passport Kit from Alpha Centauri Expeditions. The kit includes a passport, three sticker pages, a button, and a photo ID badge. 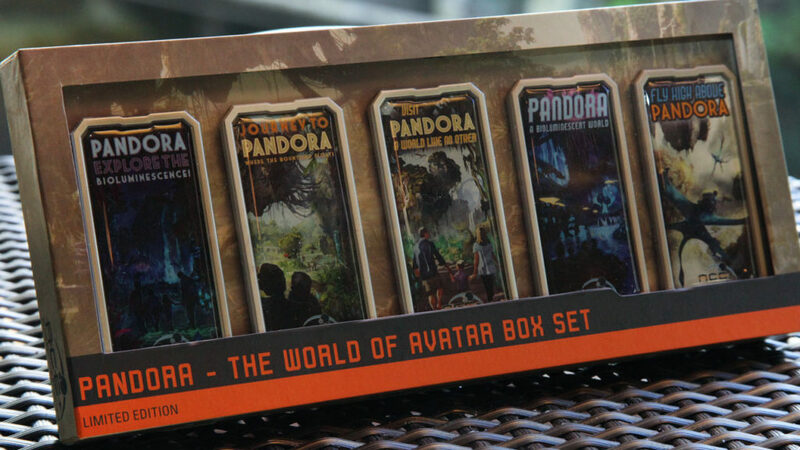 And finally, to help celebrate the grand opening of Pandora, there will be a very limited boxed set of collectible pins featuring the artwork depicted on the work walls during construction. The boxed set will have an edition size of 250, and will be released during the opening of this new land on May 27th. 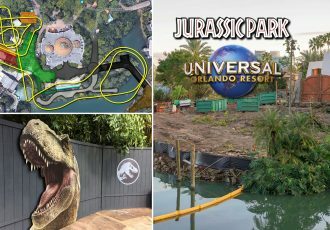 If you haven’t yet, check out all the pictures of the foods of Pandora here, the specialty drinks here, and see our last construction update of the new land! Video from our last update is below too. Subscribe to the website feed to stay informed of more Avatar news.